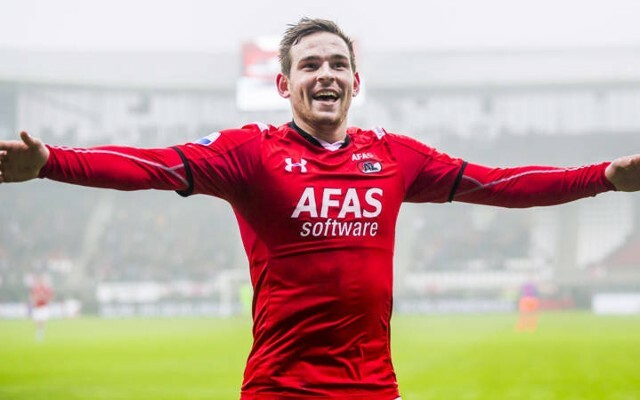 AZ Alkmaar striker Vincent Janssen is understood to be in London to complete his transfer to Tottenham Hotspur. The London Evening Standard reports that Janssen, 22, flew into the capital yesterday and was joined by agents Patrick van Diemen and Louis Laros. The Netherlands international is expected to put the finishing touches on his move to White Hart Lane, which could be announced later this week. Standard Sport understands that the deal will cost Tottenham in excess of £15m after they had to force AZ to come to the negotiating table. Janssen was the top scorer in the Eredivise last season with 27 goals, and has three in five caps for the Dutch senior side, including a strike against England at Wembley in March. His arrival will finally ease the burden on Harry Kane, who has single-handedly been carrying Tottenham’s attack for two seasons under Mauricio Pochettino. Pochettino has already added midfielder Victor Wanyama from Southampton this summer in a bid to strengthen his squad ahead of Tottenham’s return to the Champions League.